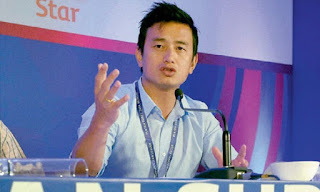 Kolkata: In a surprising move, former Indian football team captain Bhaichung Bhutia on Monday quit the Trinamul Congress, a year before the ensuing Lok Sabha elections. The Trinamul claimed to be in the dark about Mr Bhutia’s decision. Referring Mr Rijiju’s post Mr Chatterjee added, “I do not know who congratulated whom for what: for playing well or for coaching or for donning the role of a good commentator. So I would not comment on it. Such towering personalities do not come to politics from their own fields to involve themselves in politics. Many such come. I would not be able to comment till I would know anything or he would inform the party.” Bhaichung joined the Trinamool in 2013. Next year, he was fielded by the ruling party at Darjeeling constituency in the Lok Sabha Elections with an eye on the Gorkha community’s votebank. Bhaichung however lost over a huge margin to BJP candidate S.S. Ahluwalia who was supported by the Gorkha Janmukti Morcha. In 2016, the Trinamul again made Bhaichung it’s candidate for Siliguri constituency in the Assembly Elections. He however lost, this time to Asok Bhattacharjee of the CPI(M) by a big margin. In a surprising move, former Indian football team captain Bhaichung Bhutia on Monday quit the Trinamul Congress, a year before the ensuing Lok Sabha elections.